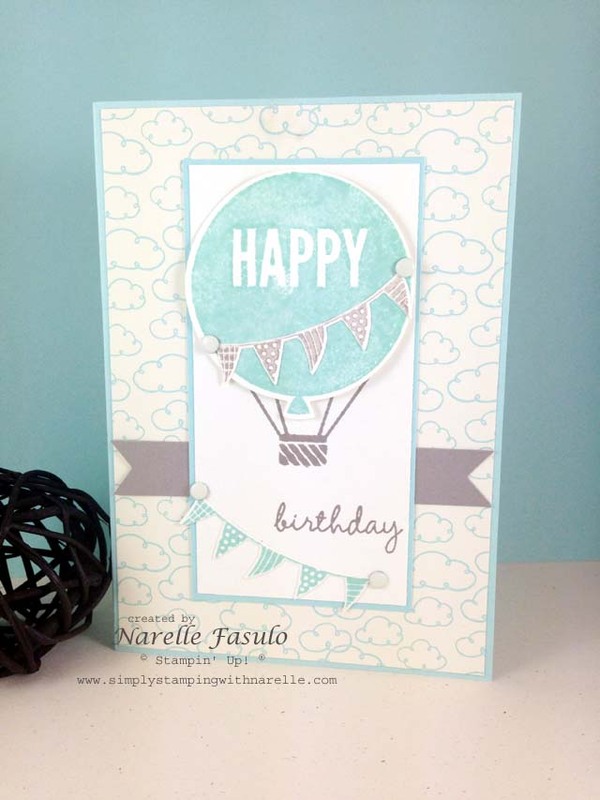 Balloons are the theme this week over at Global Design Project. That sounded like fun to me, so thought I would have a go. I know there are quite a few balloon options in the Occasions Catalogue, but would you believe that I haven't gotten around to getting any of those yet...lol....So I had to settle for the Celebrate Today set from the Annual Catalogue. I love this stamp set as it is so versatile. You can use it for anything from a new baby, to birthday and weddings. It has so many elements included that the combinations are many. Match it up with the framelits and the possibilities become endless. And what's even better is that if you get the bundle, the stamp set and framelits together, you will save 15%. Now that's cool. I hope you like my card and I have inspired you to get crafty soon.